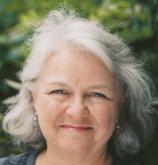 Mary Norris is the author of GREEK TO ME and the New York Times bestseller BETWEEN YOU & ME, an account of her years in The New Yorker copy department. Originally from Cleveland, she lives in New York. Mary Norris has spent more than three decades in The New Yorker's copy department, maintaining its celebrated high standards. Now she brings her vast experience, good cheer and finely sharpened pencils to help the rest of us in BETWEEN YOU & ME, which features her laugh-out-loud descriptions of some of the most common and vexing problems in spelling, punctuation and usage, and her clear explanations of how to handle them.